Amyotrophic lateral sclerosis also known as Lou Gehriga's is one of the most common out of all motor neuron disorder. This name Lou Gehriga's is given to this disease only after famous footballer Lou Gehriga's suffered from motor neuron disease. 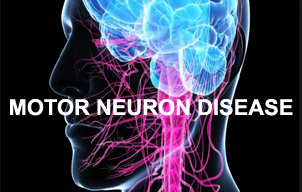 Diagnosis:- Although there is no specific test for diagnosing motor neuron disorder but doctors still prefer to have following test for getting an idea of person is actually suffering from motor neuron disorder.